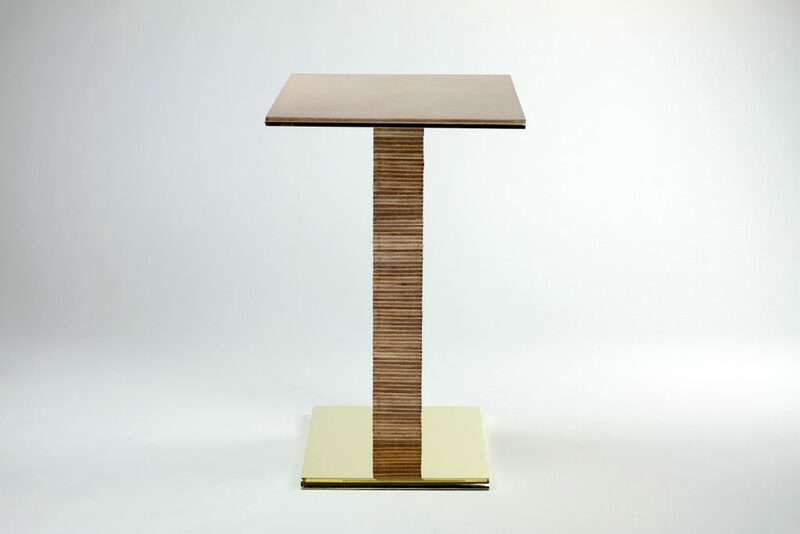 The Infinity Cantilever Side Table was inspired by Paul Dupré-Lafon’s use of stacked leather in his designs for Hermès. 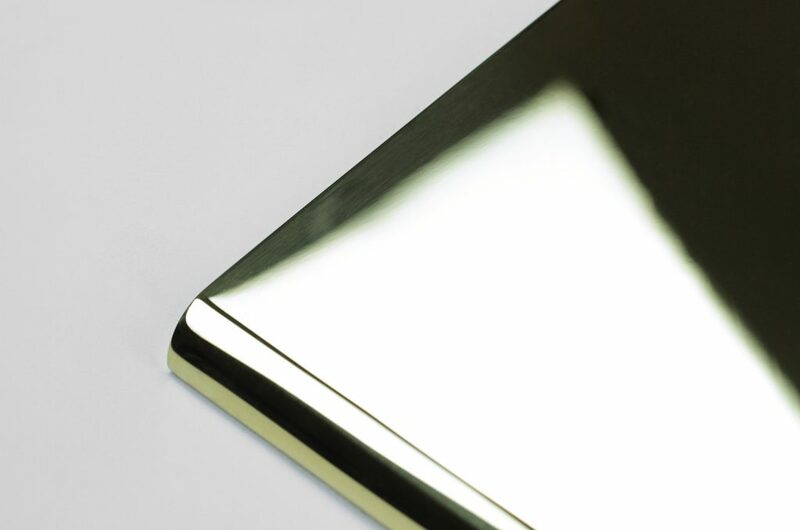 The base is solid brass, beveled at the front, and mirror polished on all sides. 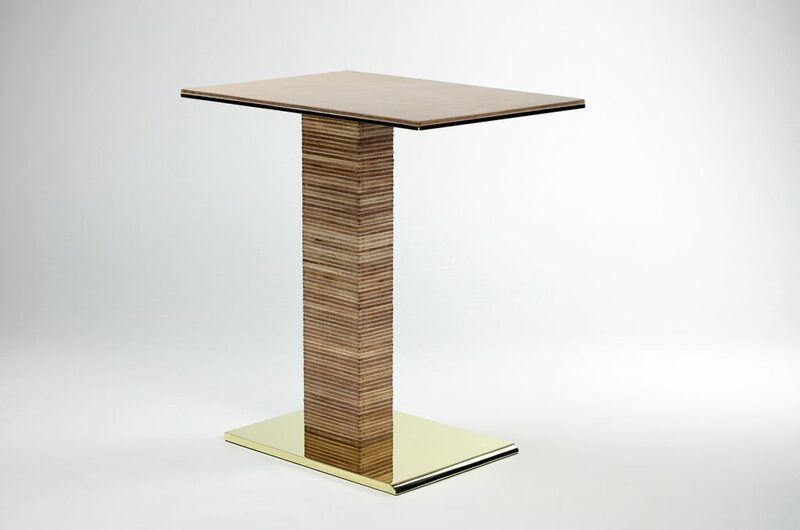 Over eighty pieces of leather are stacked to create the table leg. One can see the infinity aspect of the design when looking down onto the base. 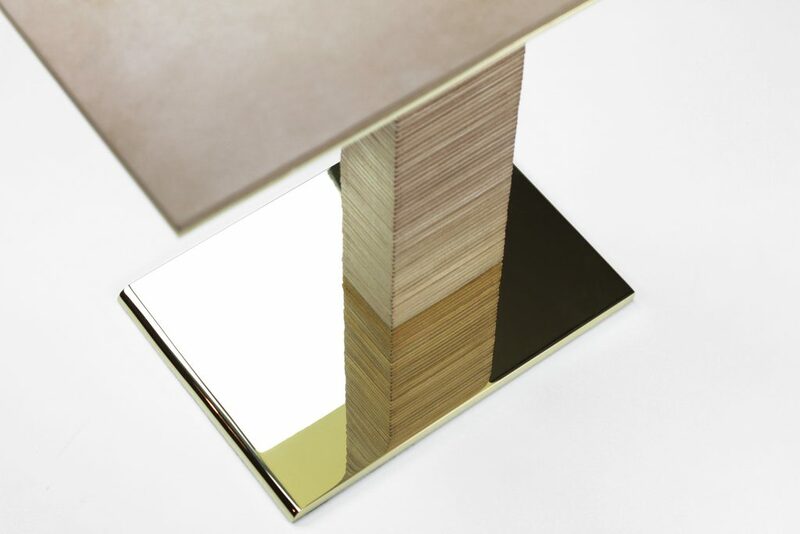 The mirrored polish gives the illusion that the leather plinth roots down into the earth. 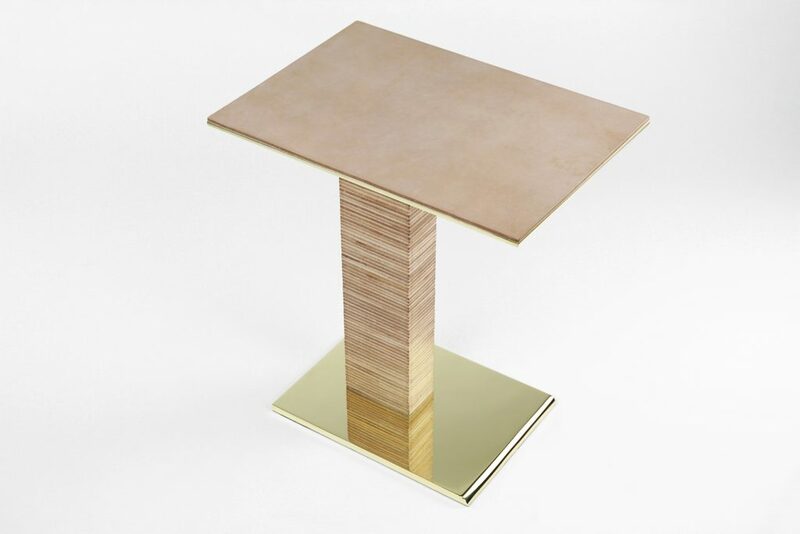 The tabletop is solid brass topped with a layer of saddle leather. 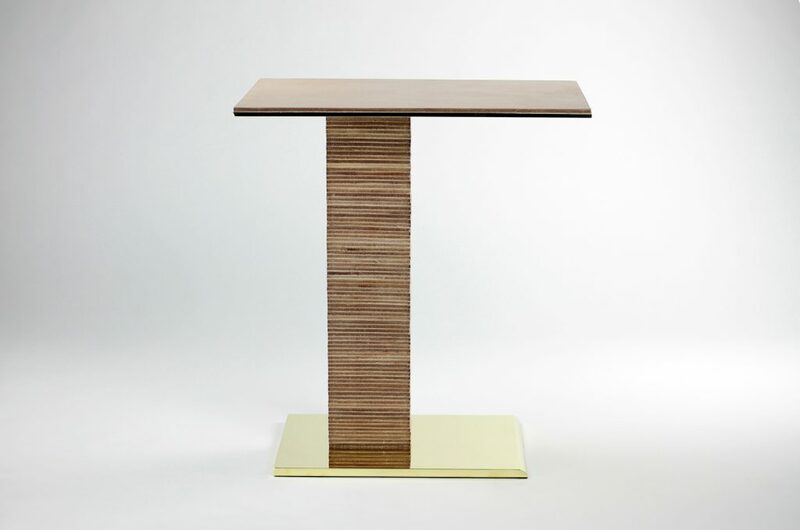 The Infinity Cantilever Side Table works well in pairs or as an accent piece. H 20 in. x W 14 in. x D 20 in.